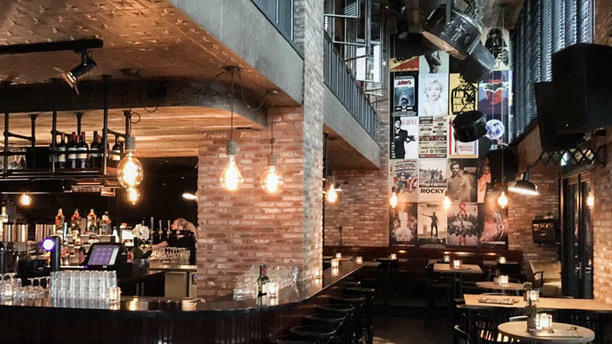 Once a pub, now a trendy restaurant: At the Movies. Inside the restaurant a stylish stone decor with a beautiful wall with old, classic movie posters. You can come over for a delicious cup of soup at noon. Or enjoy dinner and choose prawns or pork tenderloin and chocolate cake or cheesecake. Cozy, welcoming and delicious.